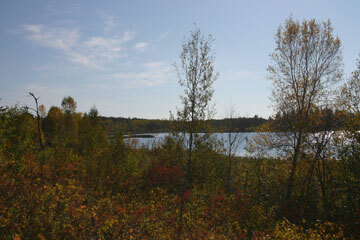 The Kristi Lake Nature Trail is about 5 km north of Prince Albert. The parking lot is just south of Mark’s Nine Golf Course at the edge of the Nisbet Provincial Forest. This 1.8 km trail takes you over a glacial sand dune landscape and through four ecosystems: jack pine upland, black spruce wetland, a lake riparian corridor and a mixed wood forest of aspen and white spruce. The trail ends back at the parking lot. This trail is a relatively easy walk for most folks. Brochures can be obtained from the Saskatchewan Forestry Association office or at Tourism Prince Albert. Group tours can be arranged with the Saskatchewan Forestry Association by calling (306) 763-2189.